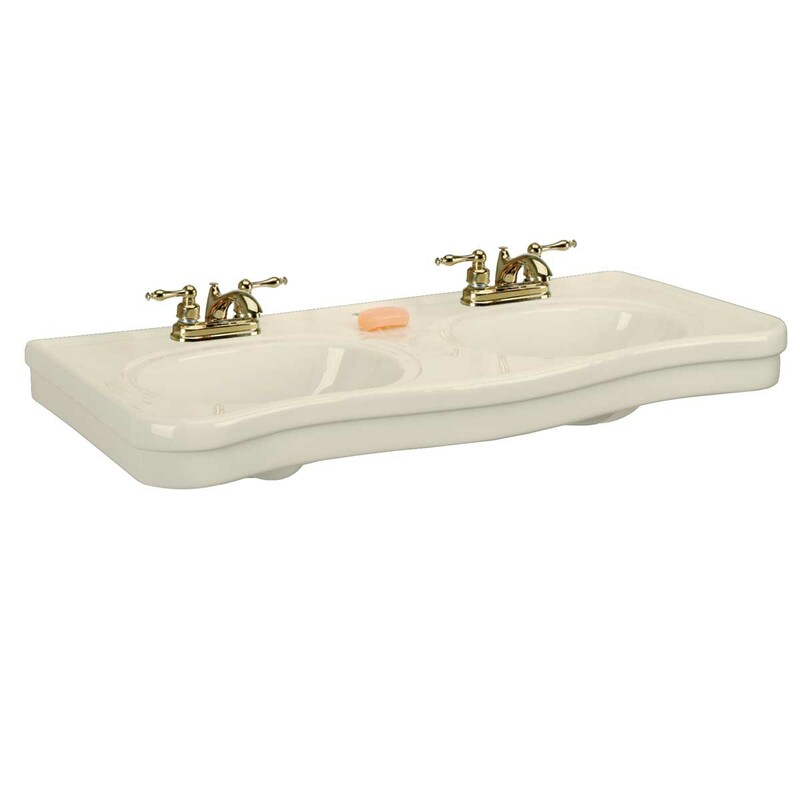 Dual Console Sinks: Belle Epoque Double Deluxe is the perfect sink for any master bath—a double wide console sink for two! 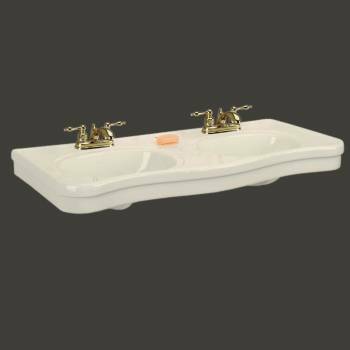 Our Belle Epoque Double Deluxe is constructed of grade A vitreous china, has self-draining soap dishes and of course "his" & "her" basins. Takes two 4 in. 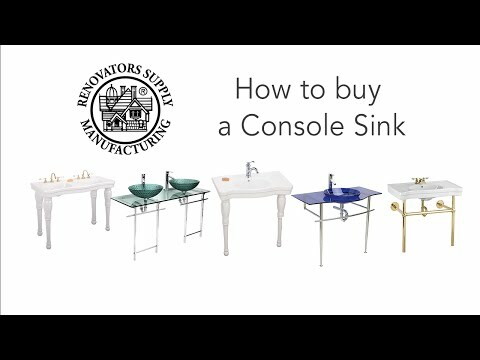 centerset faucet, not included.